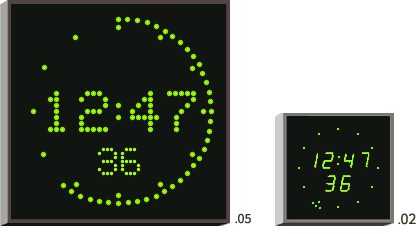 Bright 12 or 24 hour, blue, green, red or yellow time display. 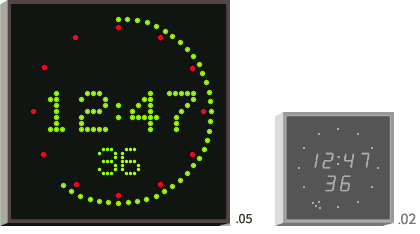 Select a single dot rotating second indicator, three rotating dots or or accumulating seconds display modes. 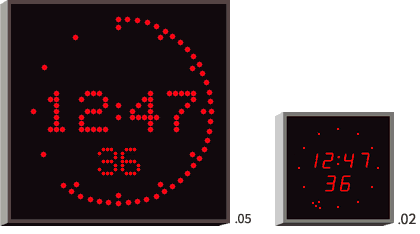 144 x 144 x 58mm8mm 5.7" x 5.7 x 2.3"
300 x 300 x 58mmmm 11.8" x 11.8" x 2.3"